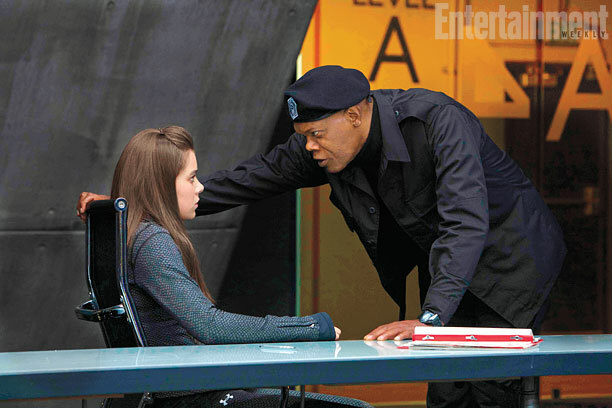 Hailee Steinfeld, Samuel L. Jackson and Jessica Alba star in the action comedy Barely Lethal. Watch the movie trailer below. A teenage special ops agent (Steinfeld) yearning for a “normal” adolescence fakes her own death and enrolls as a senior in a suburban high school. She quickly learns that being popular can be more painful than getting water-boarded. Weary of her life as a teenage Special Ops Agent, ‘Megan’ (Hailee Steinfeld) fakes her own death and enrolls in a suburban high school. Hoping to live the life of a “normal” teenager, she discovers that being popular, dating, and fitting in isn’t as easy as she thought. Complicating matters is ‘Victoria’ (Jessica Alba), her former handler and current nemesis, who enlists rival teen Special Agent ‘Heather’ (Sophie Turner) to go undercover at her high school and reacquire the runaway. Academy Award nominee Samuel L. Jackson portrays Megan’s mentor, ‘Hardman’.